On Tuesday morning, members of the Taliban stormed a school in Peshawar, Pakistan, and slaughtered 145 people. Of those killed, 132 were children, mostly between the ages of 12 and 16. Attackers diverted attention from the school by causing an explosion outside the school. They then entered the school complex heavily armed and prepared. They targeted children hiding under benches. The Taliban has stated that they targeted this school because it contained many children of soldiers. 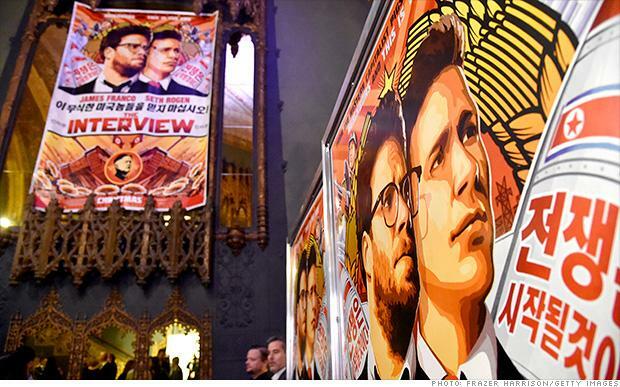 U.S. investigators are preparing to blame the North Korean government for both the cyber attack against Sony and the terroristic threats made in response to the movie "The Interview". The movie, which depicts the assassination of North Korean leader Kim Jong Un, has been pulled from theaters across the country in response to the threats. Experts claim that North Korea has spent its scarce resources developing a group called "Bureau 121" to carry out attacks like the one on Sony. Though the possibility still exists that the movie could be released digitally, Sony has been quiet on the issue. President Obama has announced that the United States will ease sanctions that were set in place against Cuba over 50 years ago. These changes represent the most significant changes in US policy towards our island neighbors since the embargo was initially set in place. While it will take a vote from Congress the fully remove the trade embargo, there will still be many changes that directly effect American citizens. For example, US citizens will now be able to vist Cuba and spend money there, which used to be a crime. And yes, Cuban cigars are now legal. Fourteen people have been arrested due to their connection to an outbreak of meningitis in 2012. Of those arrested, two have been charged with 25 counts of second-degree murder. All those charged worked for the New England Compounding Center (NECC), and, according to the investigation, were aware that the drugs they made were unsafe. The steroids were not sterilized and expired ingredients were used in their production. After a 6-1 vote on Monday, City Council met last night for the final vote on Mayor Joe Sinnot's 2014-2015 budget. The budget total is set at $72.7 million and includes a small property tax increase. The tax increase would amount to an extra $80 in property tax on a $100,000 home. Councilwoman Jessica Horan-Kunco fought against the tax increase, suggesting that we draw from reserve funds instead. However, the other council members thought this too risky a move.